J.C. Penney reported its first annual profit since 2010 today but in the next breath announced that it will close about 130 stores and two distribution centers as it tries to contend with falling store traffic. Like other shrinking retailers, including Macy's and Sears, J.C. Penney said it will continue to build its online presence as strolling shoppers become an endangered species. In a press release, the company referred to the closings as "optimizing" its retail operations. "We believe the relevance of our brick and mortar portfolio will be driven by the implementation of these initiatives consistently to a larger percent of our stores. Therefore, our decision to close stores will allow us to raise the overall brand standard of the Company and allocate capital more efficiently," said Marvin R. Ellison, chairman and CEO, in a news release. It's not just Amazon and other online merchants who are strangling traditional department stores; it's also off-price retailers like TJ Maxx and Marshall's, both owned by TJX Cos., which this week said it would be opening about 1,800 stores. Ellison said that even after the closings, J.C. Penney would remain competitive in the brick-and-mortar field. "Maintaining a large store base gives us a competitive advantage in the evolving retail landscape since our physical stores are a destination for personalized beauty offerings, a broad array of special sizes, affordable private brands and quality home goods and services. It is essential to retain those locations that present the best expression of the JCPenney brand and function as a seamless extension of the omnichannel experience through online order fulfillment, same-day pick up, exchanges and returns," Ellison said. Could be, but not all shoppers find the experience quite so seamless. "Amazon is killing these stores online and these idiots have no clue why?" said Adrian of Chicago, in a recent ConsumerAffairs review. "You don't have speed delivery, you don't even email a tracking number to your customers, and you don't even have ALL YOUR PRODUCTS ONLINE." Nor does the in-store experience always win kudos from shoppers. "I took my children shopping on Jan. 2nd at the Parks Mall in Arlington, TX as they had Christmas money they wanted to spend," said Kaylene of Ovilla, Texas. "My teenage son chose a Nike jacket he wanted and proceeded to go stand in the line which only had one cashier working. After waiting on him for at least 20 minutes or more and there were still 5-6 people in front of him, I told him just to put it back, we didn't have that kind of time." Ellison, however, sees a bright spot, insisting that he has found the answer to high delivery costs. Is time running out for hhgregg? 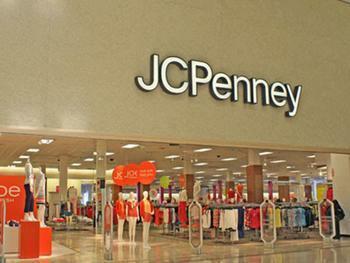 What happened to JC Penney's recovery?